Designed for business, built for performance. 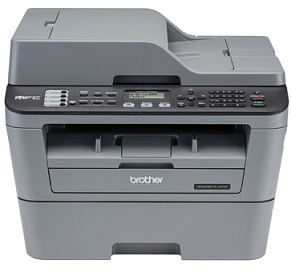 With a fast 40ppm print speed, plus copying, scanning and faxing, the Brother MFC-L5900DW Mono Laser Multi-function Centre is a valuable team member in a busy office. 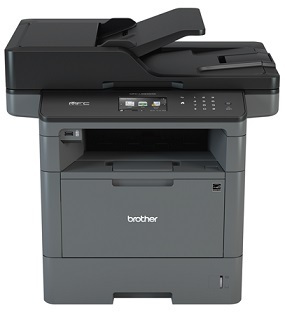 Designed for mid-sized workgroups with demanding print volumes who are looking for low cost printing and business reliability. Convenient mobility features such as AirPrint and Google Cloud Print, recognise that today’s wireless working environment – whether in the office or on the road – demands more flexibility. 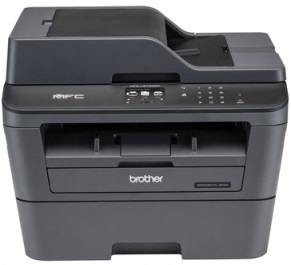 The MFC-L5900DW Mono Laser Multi-function Centre ensures superior workflow with an up to 70-page automatic document feeder, support for different media sizes, high speed duplex scan, wired and wireless connectivity, and BSI/PaperPort. It also comes with a host of enterprise level security features. 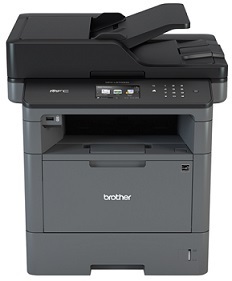 The Brother MFC-L5900DW Monochrome Laser Multi-function Centre is a great choice for offices and small workgroups looking for cost efficient output and reliable performance. Fast print and copy speeds up to 40ppm will help increase your productivity, and cost-efficient output thanks to the high-yield replacement toner cartridge will help lower your operating costs. The MFC-L5900DW Mono Laser Multi-function Centre also offers flexible paper handling with a 300-sheet paper capacity, expandable to 1,340 sheets with optional add-on trays. Quickly scan two-sided documents to a wide variety of destinations using the 70-page capacity auto document feeder or using the legal-size document glass. Advanced security features provide network user authentication to help protect against unauthorised access. 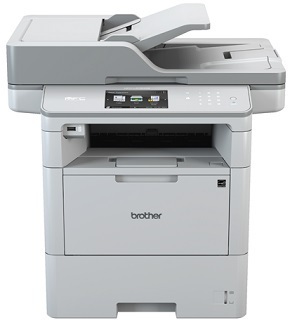 Plus, use the customisable colour touchscreen display to directly print from and scan to popular business cloud services.